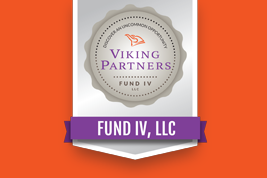 CINCINNATI, OH – February 11, 2019 – Viking Partners LLC, a Cincinnati-based private equity real estate investment firm, announces the closing of Viking Partners Fund IV, LLC, its fourth investment fund, on January 30, 2019, raising in excess of $92 million. Building on the success of its first three funds, Fund IV will be deployed toward the acquisition of retail, office/flex, industrial, multi-family and hotel properties, as well as non-performing real estate loans. Viking’s focus is the acquisition of mispriced and undervalued real estate which can be repositioned into stabilized assets through hands-on management, leasing and redevelopment. Viking will continue to focus on markets in the Midwest and Southeast United States but will not be limited by geography in evaluating opportunities. “The launch and closing of Fund IV represent another significant step in the history of Viking Partners” said Steve Miller, who along with Bret Caller, founded Viking in 2008. “Following the success of our first three funds, we are confident in our ability to continue to create value and provide an attractive risk-adjusted return for our investors”. Viking also announced today the acquisition of Cole Center in Golden, Colorado, the first asset acquisition for Fund IV. Located in west suburban Denver, Cole Center consists of three office buildings totaling 155,518 SF of space. Significant capital improvements are planned for the complex, including a new lobby, gym, conference center and HVAC upgrades, which will position the asset as a best-in-class property within the Denver West submarket.